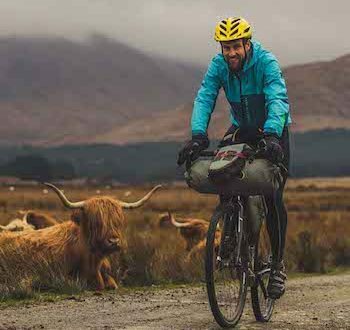 Two new members of staff have been added by Scottish Cycling and Developing Mountain Biking in Scotland. Edward Shoote and Christine Fox will help deliver the Mountain Bike Leadership programme and develop the the sport in the Tweed Valley. Fox started working with Scottish Cycling as the new part-time MBL Development Officer. She lives in the Scottish Borders and is a current mountain bike leader, and she previously worked for Ridelines as a development officer. She will work from the Scottish Cycling headquarters at the Sir Chris Hoy Velodrome, Glasgow. Shoote joins as regional mountain bike development officer and will help deliver the Tweed Valley MTB Action Plan. He will be based at the Mountain Bike Centre of Scotland, Glentress, with Developing Mountain Biking in Scotland. The post is funded by the Scottish Government and the EU through the locally run Scottish Borders LEADER programme, and will be match funded by Scottish Enterprise, for the next two years. He will manage the delivery of the Tweed Valley Mountain Biking Action Plan 2017 – 2019 that was developed by the Tweed Valley Mountain Biking Stakeholder Group. This aims to secure and realise the growth potential of mountain bike tourism in the area, enhance the competitiveness of tourism businesses generally and help ensure the mountain bike community is more integrated into the care and development of a sustainable trail network. “Scottish Cycling and Developing Mountain Biking in Scotland are delighted to have Christine and Edward joining the team as their roles will be instrumental in helping us reach our aim of having a world class mountain biking system on our doorstep." He added: "It is also fantastic to have our first regional staff member dedicated to the discipline, based at the Mountain Bike Centre of Scotland in Glentress. The Tweed Valley is already an amazing place to ride a bike and with someone supporting the bike community, businesses and the public sector stakeholders we believe it help improve the area for locals and visitors."